RONNIE HENARES and his wife Ida are the power couple behind Primeline Management and Productions, Inc. (PMPI), the company that has established itself in showbiz as a paragon in production and talent management for the past 33 years who have engineered the rise of great talents like Regine Velasquez and Lani Misalucha, to name a few. It now continues to reach higher heights in 2018 as it gears up for a busier 2019. Primeline today hasn’t rested on its laurels and is happy to be adding more milestones in its history by producing shows and developing new exciting and excellent artists. Just recently, Primeline mounted a highly successful reunion concert called “Twofus…Reunion of Friends” at the Solaire which featured Ronnie and his long-time pal Jojit Paredes (two of the country’s biggest hearththrobs during the 70's). 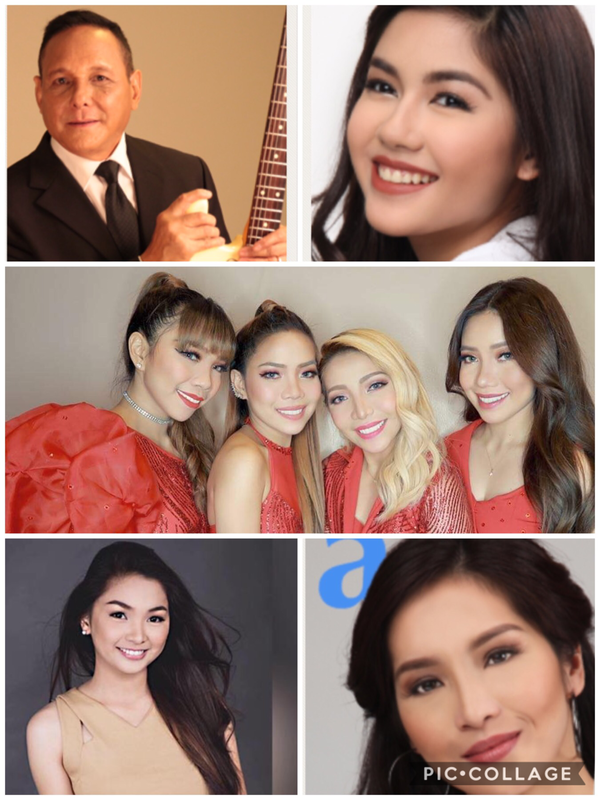 Primeline is now proud to present their new high-calibre stable of artists: multi-awarded young actress Mary Joy Apostol; global Filipina singing group 4th Impact; singer-performer Ava and actress-singer Alexa Miro. The 4th impact is a group of singers formerly called The Cercado Sisters who turned heads in“X Factor London”. Their audition video earned a staggering 120-million hits plus another million views for their "Never Enough" video on YouTube and counting. The ladies are extremely grateful and enjoying every single live performance they get invited to do, be it in Manila or abroad. The alluring Ava and her band have been creating waves in the live performance circuit as they continue to deliver high energy music at the Resorts World Bar 360 nightly. Catch them and see for yourself the talent that captivates. Alexa Miro is another Primeline star on the rise. After her Jollibee online commercial went viral, she was tapped to appear in ABS-CBN's teleserye “Araw Gabi” where she got positive feedback. This attractive young actress and commercial model is a good singer as well. The Renaissance Man Ronnie Henares continues to masterfully juggles his many capabilities as an actor, singer, businessman and sportsman. On the acting front, Ronnie continues to shine on GMA-7. In “Pepito Manaloto,” he makes TV audiences laugh as Tommy Diones. In "The Cure," he was the greedy director of the board who betrayed the company. In the new primetime show, “Cain at Abel,” he personifies evil as Gov. Gener. Not to take his musicality for granted, Ronnie performs weekly with his band Midlife Crisis at Chef and Brewer and on weekends, he will be found either at the firing range or at the fairway.